Several of my friends lost a friend, very dear to them, this past December. I do not know how it is possible that I never had the privilege of meeting their friend, Mary, but our paths never crossed. In June of 2011, Mary found out that she had Acute Myeloid Leukemia. She fought this Leukemia, and was in remission until late 2012 when she began having health concerns and found that it had returned. She passed away in December. During a fund raiser that was being held for Mary, the family put together a cookbook of many family recipes. One of Mary's daughters is a baker, so the recipes for the cakes and other baked goods are said to be outstanding. My friend, Stacey, made sure that I got a copy of the cookbook! Stacey takes good care of her foodie friend! I suppose you are wondering why I am sharing all of this. Well, in memory of Mary, Stacey is participating in a sports endurance event as a member of The Leukemia and Lymphoma Society’s (LLS) Team In Training. She is riding with Team Minnesota in America's Most Beautiful Bike Ride around Lake Tahoe. This bike ride is 72 miles long! She has several different climbs in the ride, the most notable, are an 800 foot, and a 1,000 foot climb. These are all done at elevations not normal in Minnesota. Stacey is taking on quite a challenge in memory of her friend Mary, and I admire her so much for this! No matter how tough the training has been in preparation for this, she hasn't backed down. To help Stacey out with her fundraising, we are going to have an AMAZING EVENT going on here at the end of April, so make sure you are signed up for email and facebook to keep up to date! We will be having a bake sale and raffling off several prizes to raise money, to help my dear friend out with her cause. 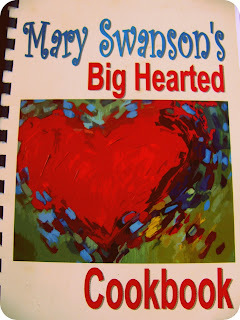 In the mean time, I will be doing a series of posts this month out of Mary Swanson's Big Hearted Cookbook! There are so many recipes in here that I am excited to try! Cook the bacon with onions in a medium saucepan over medium heat until the bacon is brown and crisp, and the onions have become transparent and are just starting to brown. Add remaining ingredients. Over medium high heat, bring to boil. Once boiling, reduce the heat to medium and simmer, stirring often, until the mixture is slightly thickened, about twenty minutes. Remove celery and serve. This is such a great cause. I'm very impressed by your friend and her dedication to the challenge of the bike ride. What a wonderful cause and how sweet of your friend to gift you with the cookbook. The beans look and sound delish! 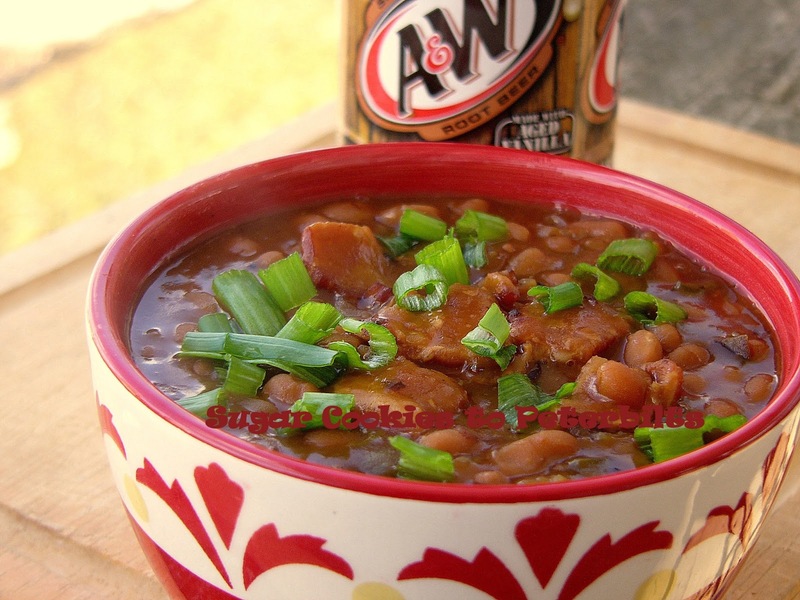 I've never used root beer in beans, but I can imagine that it would taste wonderful. What a special gift! This beans look great. Never heard of root beer in them but one never knows what is good until they are tried. Thank you for sharing. These sound fantastic and would be great for a Spring or Summer BBQ! 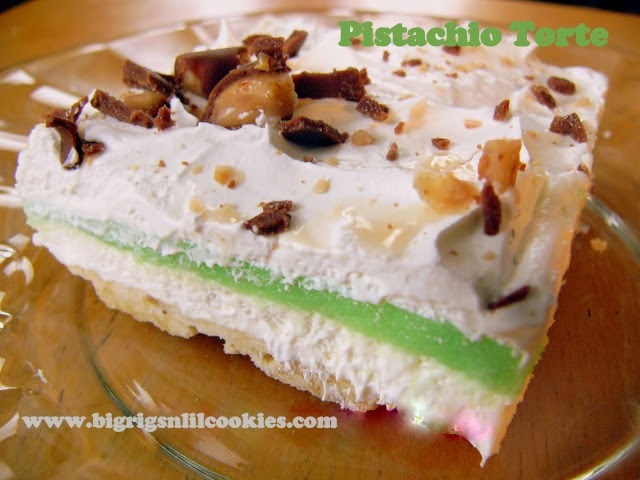 I pinned these to make soon, and thanks for sharing on Foodie Friends Friday! Is root beer the same as ginger beer?? If not, I don't think I've ever had it. This does sound like a really good recipe. Love the story behind the cookbook. Carole ~ Funny that things I think of to be available everywhere, like Root Beer, aren't! I think your Ginger Beer would be like our Ginger Ale, so not a good substitute. What about Sasparilla, do you have that? I love the addition of root beer. I can just imagine what a great sweetness and caramelization it adds. Thanks for sharing on Thursdays Treasures. I've had a couple different versions of root beer in baked beans - they really are good - looking forward to trying this one!